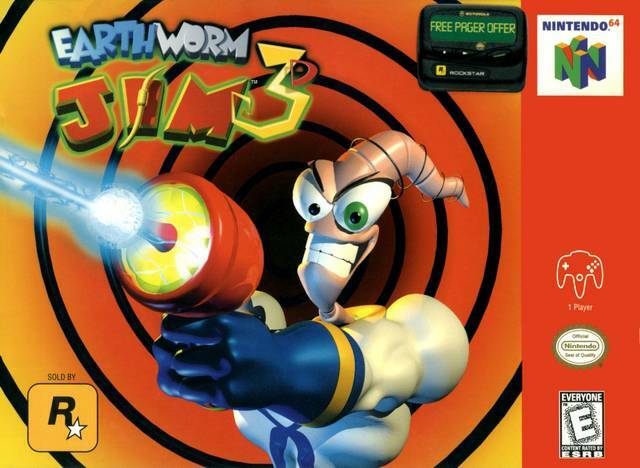 Earthworm Jim 3D for Nintendo 64 has Jim forced to fight his own subconscious and conquer four main areas of his brain: memory, fear, fantasy and happiness. Each shows you a wacky side of Jim as take up the challenge of retrieving the "Golden Udders." For 1 Player.